Saint Frances of Rome - My Catholic Life! Today’s saint, born into a wealthy noble family in the Eternal City, was married to a man from a similarly privileged family when she was just thirteen. Saint Frances earnestly sought to do the will of God in serving her husband, her children, and her home while also attempting to live a high level of holiness modeled on the life of a nun. She had desired to enter religious life from a young age, but her father refused to break his promise to give Frances in marriage to a fellow nobleman. Frances struggled with an internal conflict between her married state and the religious state to which she had originally felt called. This was not a choice between a good and a bad option. It was a natural tension in the soul of a holy woman who saw two paths open before her, both of which led to God. After her husband died and her children were grown, Saint Frances did live the ordered life of a religious, albeit outside of a convent. The divine pull that Saint Frances felt in the direction of two unique callings was not unusual. The Church has other female saints who were wives and mothers before they entered religious life. The spiritual theology of the Church in the twentieth century, ratified by the teachings of the Second Vatican Council, now offers a vision of holiness which resolves much of this earlier tension in trying to discern a vocation. The primary calling of all Christians is imparted through Baptism, fortified in Confirmation, and nourished in reception of Holy Communion. These Sacraments are sufficient armor to fit one for holiness in any and all circumstances. The married life and its natural domestic concerns is, then, as much a theater for holiness as a cloister. The Church wants all Catholics to understand daily life as its own drama in fulfilling, or rejecting, God’s will. It is not that one is distracted with the details of work, family, domestic chores, and children while the real action takes place in the parish, the monastery, the retreat center or the convent. The real action is at home, in the domestic church. It is precisely at home where Christians spend most of their time, raise their children, engage with their spouses, and accomplish the multitude of tasks that make life happen. Home and work are not spheres of life. They are life. And it would be absurd to argue that the will of God lies outside of life itself. To say that holiness is for everyone is to say that all of creation is a forum to pursue it, and that no vocation limits the opportunity to accomplish God’s will. 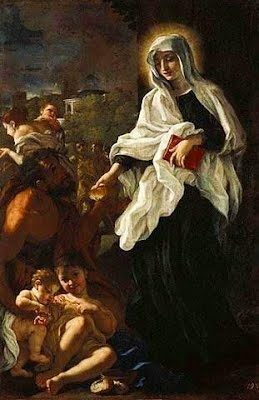 Saint Frances of Rome was a model wife and mother for forty years, often in violent and difficult circumstances provoked by skirmishes related to the Western Schism, the era of more than one pope which divided Rome’s elites into warring factions. Frances’ husband loved and revered her, her servants admired her, and her children adored her. In addition to performing her domestic duties so faithfully, Frances also fasted, prayed, had a vibrant mystical spirituality, and was generous with the poor. Her charity toward the destitute was not the modern charity of making charitable donations. She did the work, not someone else. She herself made personal contact with the homeless, the hungry, and beggars. Her sterling example of piety and service led her to found a group of like-minded women who lived in the world but who bound themselves to a life of prayer and service. The group was later recognized as an order in the Church under the title the Oblates of Saint Frances of Rome. So in addition to fulfilling her own duties, Frances also helped similarly high-placed women to avoid lives of frivolity. Saint Frances of Rome was generous in all things, saw her guardian angel at her side for many years, ate little more than dry bread, and had a provable gift of healing. As her reputation for holiness spread in her later years, to be in her mere presence was considered a blessing by the people of Rome. 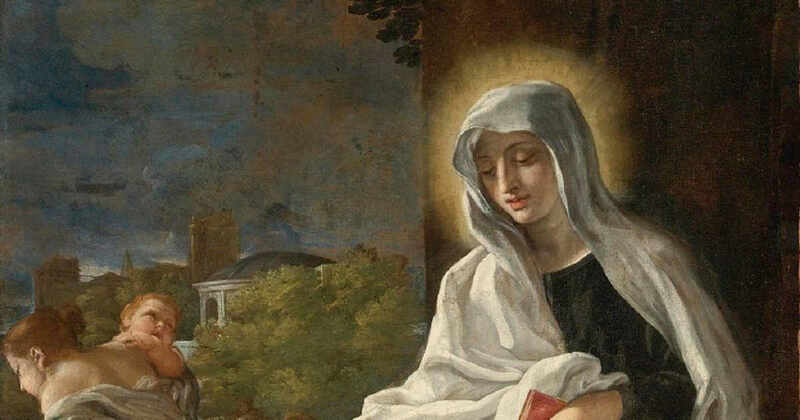 As wife, mother, and later Oblate, she stretched herself to the limit in seeking out and doing God’s will, precisely as that will was transmitted to her by the Church she loved with such fervor. Saint Frances of Rome, through your intercession, aid all wives and mothers to live lives of generous service to their families. Help them to serve the domestic Church by creating, and fortifying, that cradle of holiness and culture the Church so needs to flourish.